From a child, Wendy was always involved in engineering without realising. She spent time playing with engines in the factory where her father was a plant manager and the first thing she ever drove was a tractor. The floor has been specially gridded to assist with chassis alignment. Her career in engineering is a direct result of her fascination with the Army. Whilst at school, her local regiment was the Black Watch, with the Royal Marines being the nearest unit. The Army came to the school to recruit and Wendy genuinely thought that girls couldn’t join up and resigned herself to having to sit through what she deemed as an irrelevant presentation. She also admits at that point to having no idea what an engineer was. She then saw a programme about the first women enrolling at Sandhurst; she went down to the recruiting office where she was told to ‘Go to University and learn to speak properly!’ At University she studied agricultural chemistry, which she realised wasn’t for her, but by that time she had joined the University’s Officer Training Corps and their sub unit of REME (The Royal Electrical and Mechanical Engineers). Having concluded at this point she definitely wanted to be part of the armed forces, she spent the summers with various regiments and switched courses to mechanical engineering, from where she professes to having, ‘Never really looked back’! 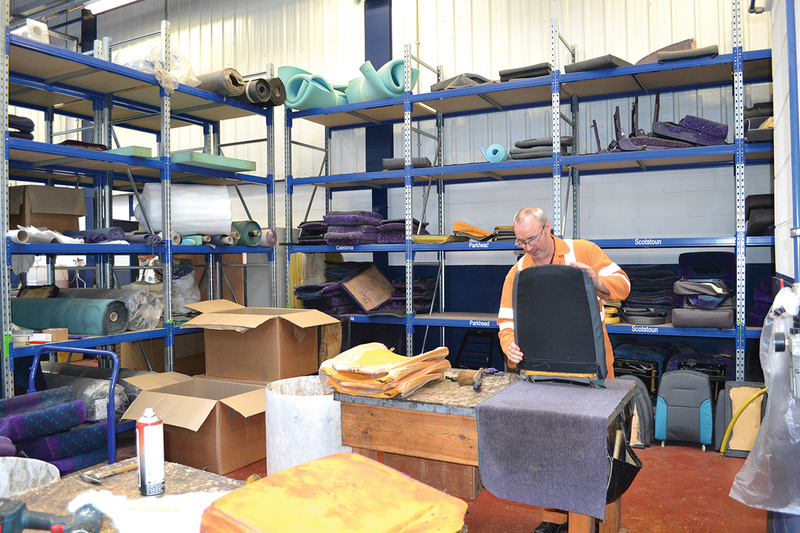 All seats are refurbished in-house in the dedicated department. Including the Officer Training Corps and the Territorial Army, Wendy spent approximately 20 years in the Army. At that time, the population of women in the service was very low and Wendy estimates that she was one of only ten female officers in REME in a corps of approximately 1000 officers, with some of the roles being deemed ‘non-female specific’. The Glasgow Express shuttle service from the city’s airport offer leather seating, USB charging points, flip down tables and bag hooks. The service also offers Audio visual announcements. Wendy understands the importance of hands on training and as a young officer, she spent six months on the tools getting dirty, replacing power packs on tanks and recovering vehicles from rat infested waters. This by no means put her off and she admits that she loves to be more hands on. She is a Chartered Engineer with the Institute of Mechanical Engineers and she had to undertake a project to achieve this status. She spent time with Scot Track in Nairn, who make all-terrain vehicles and was tasked to convert a petrol vehicle to diesel. Her manager at the time was very supportive and allowed her to do everything, from welding the frame to converting the vehicle so that the engine fitted under the bonnet. She says of the experience, ‘That was my greatest achievement, turning on the ignition and the engine starting up. I’d need a Haynes manual to do it now though!’ They now sell that model as a commercial vehicle. That was the last time Wendy really got involved in the practical side but she still gets under a bus occasionally. Having come from an Army background where she was one of only a few women who gained senior roles, I felt sure that she came well equipped to handle the role of Fleet Engineer in a very male dominated bus industry. I asked her about her experiences. A great example of a highly organised operation with a place for everything. Note the cleaning station on the far wall. Her first role with First Bus was as an engineering Change Champion for Scotland. Working with the various managers, the job made her look at the entire operation, the processes in place and how they could improve the flow of work as well as staff engagement and training. In essence, introducing lean working practices. For example, she introduced a servicing kit, a pack that had all the parts the servicing mechanic would need in one place, for a routine service. 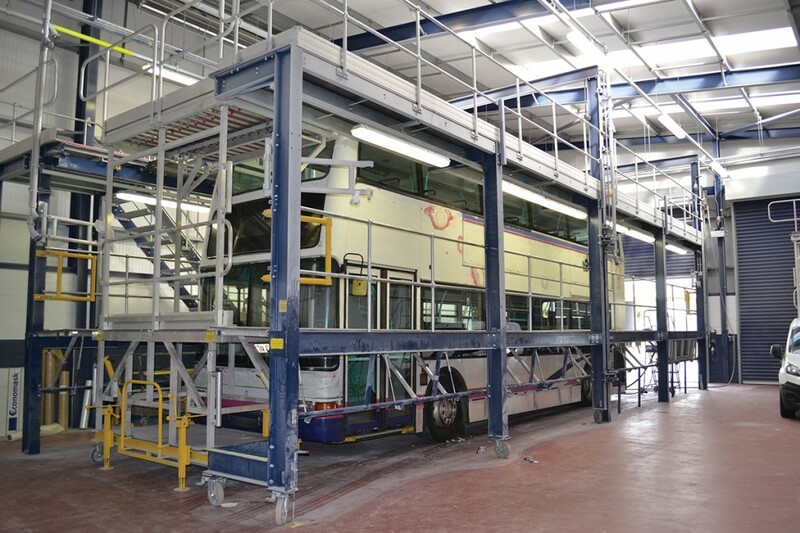 Prior to repainting, the bus will go into the preparation booth to be stripped of its livery. Another of the initiatives she was involved in was the introduction of the Wrench Awards, a set of standards and KPIs by which all of the workshops could be audited, with the successful sites being awarded either bronze, silver or gold status. First Group brought the idea over from group company Greyhound Lines in the US and tweaked it to suit UK bus operations. 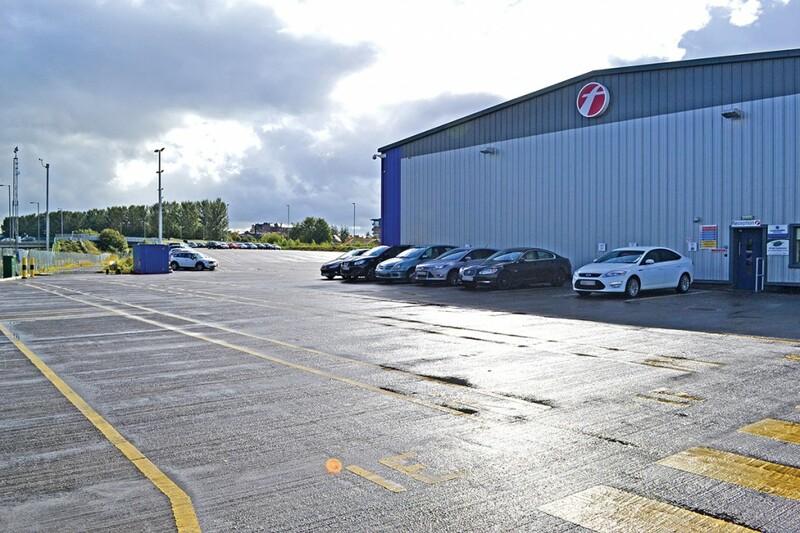 After a successful trial in Livingston, historically a struggling depot that has since achieved silver status, the first depot to do so, it has now been rolled out throughout the UK and naturally, Wendy has started to implement it into the Glasgow depots. There is now a team responsible for this and Wendy has stepped back from the project. In terms of more detailed operational issues that Wendy has overcome is the process and stores for VOR’s (vehicles off road). By better scheduling and parts supply she has been able to have the right parts in place when required to reduce vehicle down time, but conversely, alleviating having parts in stock when they aren’t required. She has also employed specialist stores people that are able to recognise the majority of parts. This bus will take about 48 hours to dry. To the right of the booth is the paint mixing room. Nine months after starting the Change Champion role she moved over to Fleet Engineer for the Glasgow depots, providing support initially for six depots, which became five after Parkhead was merged into the Caledonia depot. From an engineering perspective, she is now responsible for over 850 buses. Her job focuses mainly on compliance, ensuring that when auditor’s checks are taking place on the vehicles that have recently been inspected, everything is signed off properly, parts are in stock and they are DVSA compliant. 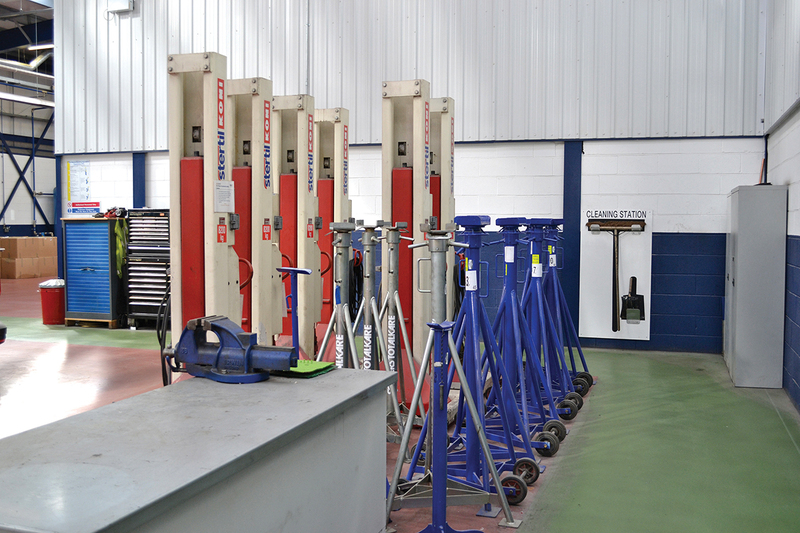 These systems have helped to secure their 100% MOT pass rate. Every 28 days, each vehicle is scheduled for a safety inspection. They are also fire risk assessed every six months, this is a Glasgow initiative as the company standard is annually. A six monthly door safety check has also been implemented. Wendy is responsible for the engineering budget and isn’t afraid to challenge poor suppliers and if she has found something to be defective, not to a high enough standard, or behind schedule, she will and has successfully, brought about a change of contractors who work for them. A process is in place where all new suppliers are assessed prior to engagement. Always trying to improve the workflow and best working practices, Wendy’s latest initiative could see the introduction of a shop floor ‘vending machine’. This would house a range of frequently used consumables such as hacksaw blades, glue, safety vests and the stock would be owned by the company providing the items and not by First. Stock levels would be automated and Wendy could control the reorder levels. Small changes are equally as important and can have a positive impact on the working environment. The workshop supervisors used to wear white coats, but they were always filthy. Wendy felt that this didn’t present the right image to the workforce and it also indicated to her that they weren’t in fact supervising, but doing the job themselves. Wendy changed these to red shirts and fleeces and this was very well received, because they looked smarter and also retained the status of supervisor. Stores persons were issued grey uniform and planners green. All supervisors, whether yard or workshop now wear the red so they are easy to distinguish and likewise, apprentices or new starters have orange bump caps. The inspiration for this came from her Army experience and from a visit to a local Nissan site to observe their best practices. One thing that she likes about the company is the freedom to retain local control but also the opportunity to exchange ideas and best practices. What works for example in a city depot wouldn’t necessarily work outside. This allows for individual branding and identity across the company, not only throughout Scotland, but the UK as a whole and the individual groups seem to be proud to have this identity. One of the projects that Wendy seemed particularly inspired about is their involvement with vehicle testing at Millbrook testing ground. The company introduced DriveGreen, an app that tests driver performance. It monitors safe driving, fuel efficiency and the GPS tracker monitors the routes that the drivers used. They downloaded a year’s worth of data from every First Bus operation in the UK and developed the ultimate bus test course in 2013, rather than the usual circuit. The track includes potholes, inclines, traffic calming and even bus stops to test and mirror real life driving environments. Each year there is a ‘Manufacturer’s Challenge’ to show their efficiency and Wendy commented that since the test track was implemented, the design and manufacture of buses has come on in ‘leaps and bounds.’ ‘Whereas before bus companies might buy on price, we can now see fuel efficiency and reliability. They even put ballasts in to the vehicle to represent passengers.’ The track has been supported by a number of manufacturers including ADL and Wrightbus, who will test their vehicles to help inform First Bus’s vehicle procurement strategy. The company also works closely with engine manufacturer Cummins. First Bus is the largest operator of DfT certified ‘low carbon buses’ in the industry and at the LowCVP Awards in September, was awarded Low Carbon Vehicle Operator of the Year, up against companies outside of the bus sector, such as John Lewis. Wendy said that by the end of the financial year, First Bus will be saving an estimated 15 million kilograms of CO2 per year, equivalent to the CO2 absorbed by 7.5 million trees. Investing in Euro6, there are 24 Enviro400MMCs at the Glasgow depot, as well as 39 Enviro200MMCs, including the ten bespoke vehicles that are in service on their Airport Express shuttle service from the city’s airport. 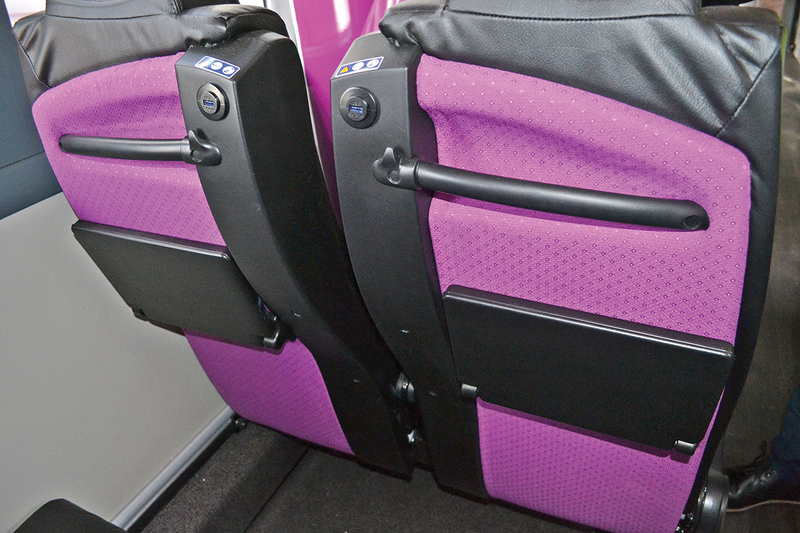 Wendy described these as ‘the most technologically advanced bus that ADL have ever built’. Features include USB charging ports, audio announcements and low lighting, to offer a more seamless transition from plane to public transport. This is a prestige contract for First Glasgow and the vehicles are deep cleaned every night and the handpicked drivers given additional training. The company actively supports engineering graduates, to suit the demands of the business. Wendy was involved with the selection process two years ago and acts as a mentor, helping them through their chartered engineering programme. All graduates spend time on the shop floor and undertake management training. says that Cummins in particular is doing a lot to help change that. They have introduced a women’s engineering college in India and they run a school initiative where pupils build a Euro6 engine out of 30,000 pieces of Lego! Recruiting in general has never really been a problem at First Glasgow and often employees will ‘recruit’ members of their family. That said, Wendy started recruiting externally to appeal to a wider audience. They recently had 404 applicants for just four apprentice jobs. There has been a schools push and the company has attended several recruitment fairs at local schools and colleges. Because skilled engineers are more difficult to come by, Wendy will also consider applicants that have HGV engineering experience. Coach builders are difficult to recruit because it is such a bespoke role, but they have a training bus which in essence is a mock up classroom. Fortunately, they tend to retain these skilled workers but Wendy is aware that they are ‘an ageing population’. Over lunch, I got the opportunity to speak with Jude Balfour who had come through the Graduate Training Scheme. She works in operations and had been in transport planning where she spent some time with FirstGroup CEO, Tim O’Toole and First Bus MD, Giles Fearnley, whom she said were both very receptive to new ideas and would find the budget for a good concept. As a FirstGroup Graduate, she also spent time in rail where she implemented a system whereby during disruptions to First ScotRail services, passengers could show their ticket and use a First Bus service instead. This is still in place despite FirstGroup no longer operating the franchise. She has been working with Wendy on the new ticketing with real time announcements system, which should go live this year and how, with the First App, tickets can be purchased ‘live’ in the same way. Smart ticketing is also high on the agenda but a Scottish ‘Oyster’ card isn’t a simple solution countrywide as the operators have different systems in place and the two main cities, Glasgow and Edinburgh, have entirely different clientele. Jude has also worked in all aspects of the bus business which she says has given her a rounded understanding. Not only has she learned to drive a bus, she also had to clean them. She speaks very highly of the thoroughness of the graduate programme and the support of her mentors who have encouraged her to put her good ideas into practice. 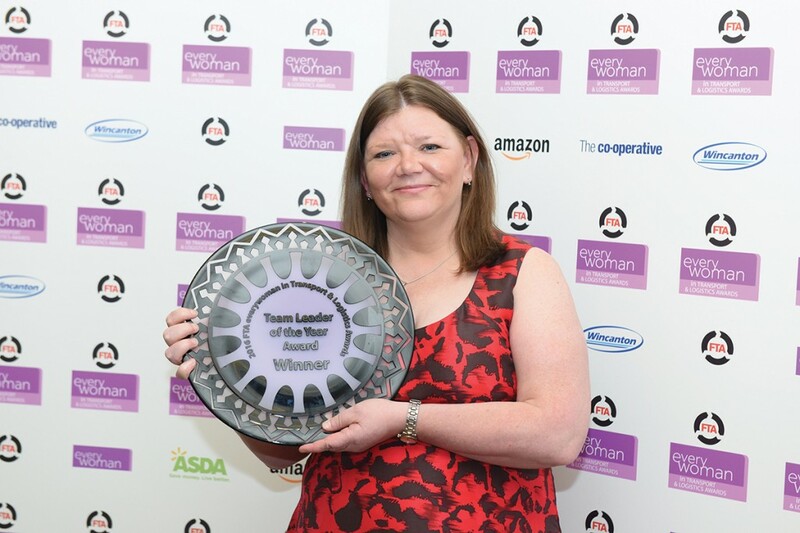 Wendy, with her Team Leader of the Year award at the Everywoman Awards in 2016. Wendy isn’t the first member of First Glasgow to win an Everywoman in Transport and Logistics award. In 2015, the then MD of the company, Fiona Kerr, was crowned Woman of the Year. This carpark is full of buses at night. The green ethos is very evident around the award winning, £20m Caledonia depot, the biggest bus depot in Europe; from simple initiatives like recycling rags to the non-reflective solar panels which would provide the equivalent power required by 40 homes a year. Rainwater is harvested and used for chassis cleaning and the moving bus wash recycles the water used and takes just four minutes from start to finish. There are currently almost 400 vehicles at the depot and space is tight. Managing that amount of vehicles requires precise scheduling and the shunting role is very highly acknowledged. Wendy is looking at ‘bump sensors’ to be fitted on the vehicles’ most vulnerable points. There are twenty bays on site, one of which is a specialist glass area. The van outside bay 16 is a roadside repair vehicle. 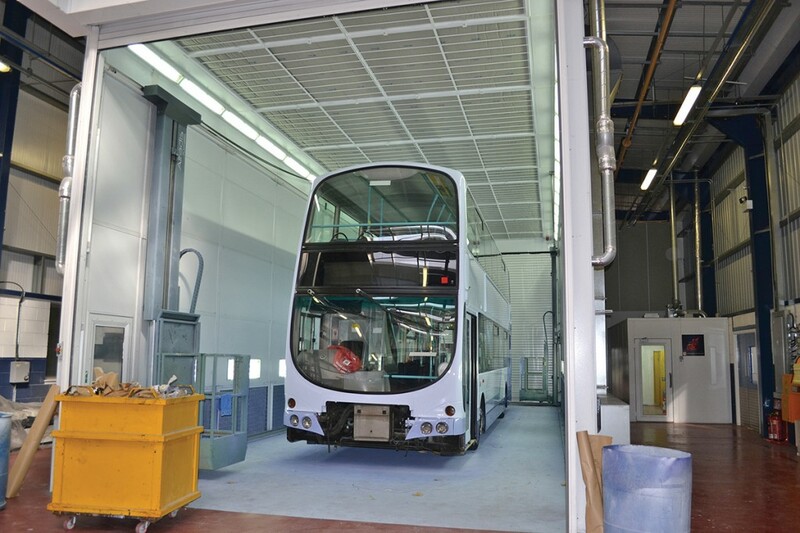 When a bus is in for repair, regardless of whether it is a simple dent in the panel, it will be thoroughly checked and if any other faults are discovered, it will remain out of service until the maintenance has been completed. Wendy has a team of three frontline technicians that she refers to as ‘my engineering ninjas’, because of their high level of expertise. Before any major unit, engine or gearbox, is condemned, it has to be assessed by them first. There is also a small fleet of roadside repair vans that are usually first on the scene in the event of a breakdown or fault. If practical, they fix in situ or request recovery. There are two vans at Caledonia with the other four sites having one apiece, but Wendy hopes to centralise this to speed up response times. 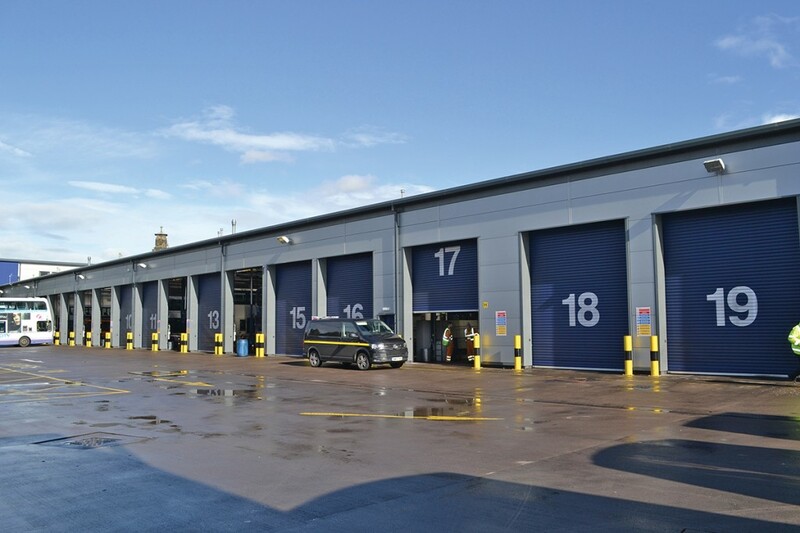 As you would expect from a site of this scale, it has designated DVSA testing facilities and one MOT bay that operates Monday to Friday just for the Glasgow First fleets. Wendy is hoping to provide additional facilities in other depots. Safety, is of course paramount on site and the depot has introduced a ‘Be Safe’ policy with the brand implemented and communicated throughout all aspects of the business. New employees attend a safety course on their first day and there is a ‘no walk and talk’ mobile policy imposed. There is a director led safety call each week across the business, which highlights any potential hazards and new initiatives. From a passenger safety perspective, the majority of the fleet has CCTV fitted and the company works closely with the local police. There are three different speed washers on site as some vehicles require deeper cleaning than others, particularly in winter. 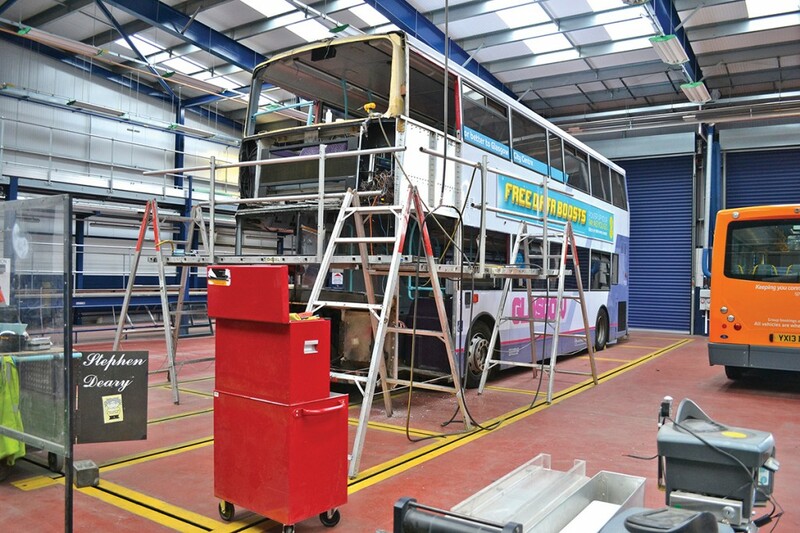 There is a good community spirit within the department and members of the accident damage workshop have had close links with autistic children through the bus museum and in their own time, several employees painted a bus for a local charity. Members of the workshop are also working with the Bridgeton Bus Museum on a transport war memorial to be housed at the site. New technology has been embraced at Caledonia and the Glasurit bake booth can be left to run with the bus inside and will text the designated mobile phone when it has finished and is ready to be liveried. 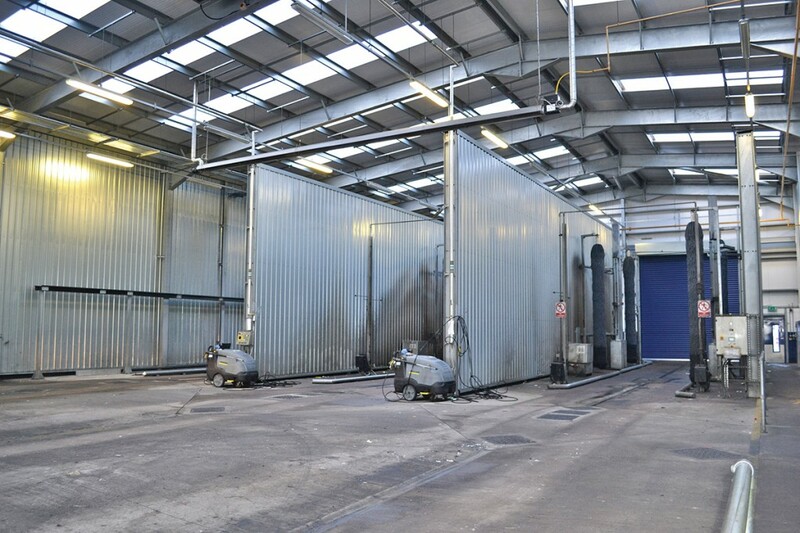 To keep the area cleaner and to contain paint fumes, a dedicated mixing booth has been installed, separate from the spray booth which uses the latest Junair system. 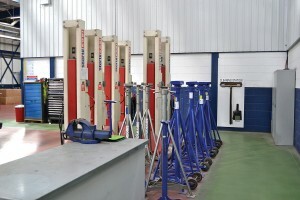 Coach building apprentices from all over the country come to the site to learn all aspects of the job. Promotion throughout the business is actively encouraged. Cleaners are encouraged to obtain their depot licence so that they can take on a shunting role and many shunters progress to become drivers. Wendy’s drive and determination is evident throughout the site. I appreciate that it is a new, multi-million pound depot, but the highly efficient way that it is organised and operates is, in the main, down to Wendy’s influence. It truly is an impressive depot and Wendy has had a big part to play in that. leave the bus and coach industry but is to remain in engineering. I wish her every success.